DIY wall decals made from scrapbook paper and contact paper. Peel and stick, removable, and perfect for kids rooms! Create any phrase or shapes you’d like! We have a lot of empty wall space in the basement, so I decided to create yet another space to display my children’s artwork (they already have one in their bedroom that is completely full….all the time). I simply strung up some ribbon with tacks and hung their artwork with tiny clothespins. It looked cute, but I thought it needed some sort of lettering above the display. Vinyl is great, but pricey and mostly comes in solid colors. I wanted to do something with some fun and colorful paper so I created these DIY wall decals! 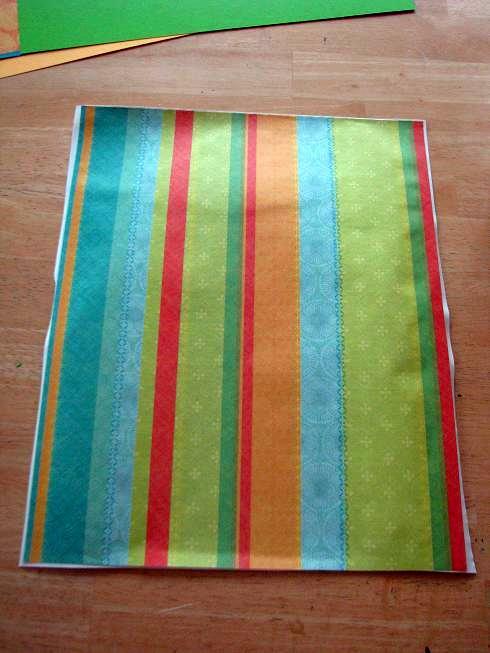 Brush a layer of mod podge onto the top of a piece of contact paper , then place a sheet of paper on top of that. Press down firmly and get rid of the air bubbles. Place under a board or something heavy to keep it flat while drying. I haven’t tried spray adhesive, but would imagine that it would work just fine as an alternative method. Just spray and place a board over until set. Once the sheets have dried, they are ready to be cut! You can use a cricut or stencils to cut into desired shapes. I used both. 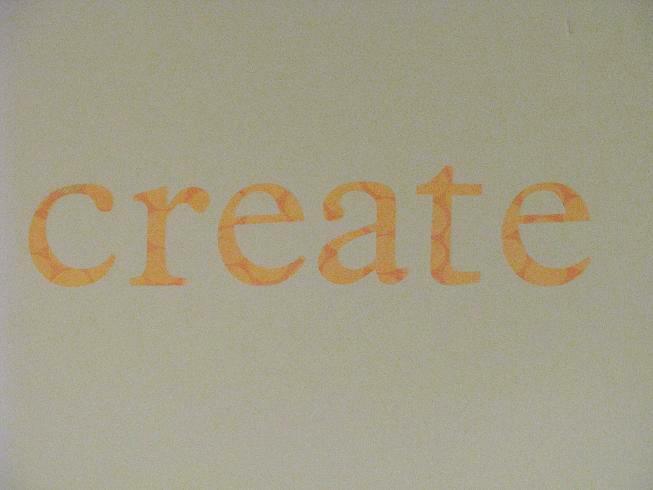 I used the Cricut for the words “Imagine” and “Create” and made printouts of the words “Get Messy” from Microsoft Word and traced them onto the contact/cardstock. Peel off the backing and adhere to the wall. I noticed a few of my corners and edges coming off of the contact paper when I went to peel the backings off. I guess the mod podge wasn’t thick enough in those areas. I just added a little tacky glue to fix the small spots and they were good to go. Custom peel and stick letters that are nice and sturdy, easy to place onto a wall, reposition-able, and inexpensive! And these aren’t limited to lettering! The possibilities are endless especially with the huge variety of cricut cartridges. You can make all sorts of custom scenes for your wall. Our basement is brighter lit than most basements, but it is still hard to take a good picture down there. You get the idea. LOVE this! 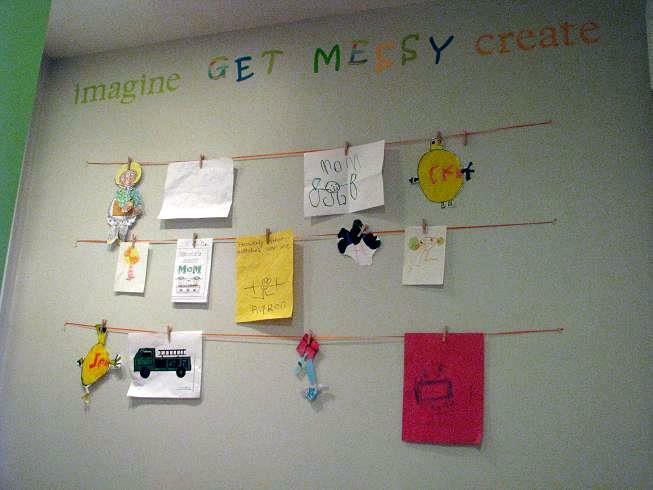 I would like to try this in our playroom/office/craft area… Thanks for the wonderful inspiration! Incredible!! What a grand idea! 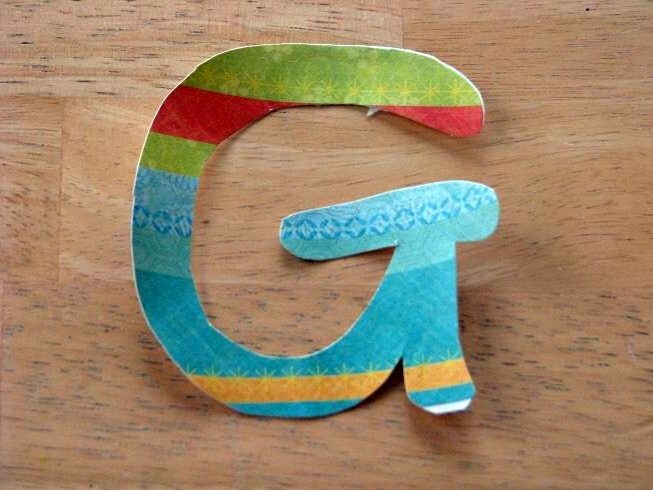 I am just gushing here, but I think this is really a wonderfully inexpensive and easy way to make custom lettering. Thank you for experimenting and sharing! Love this! You´re so creative!! Wow! Very nice 🙂 I found your post on the tea rose home link party! Wow, you are a genius! I must try this very soon! Love it! I’m glad you tried (and this is going to be a LOT easier to clean up than the flour/water mess that I used! Who thinks of this?! WOW you are a genius!! Good job! I’m all about contact paper to get the same look. this idea is great too!! stopping in from transformation Thursday! Brilliant! I will have to try this. This is such a great idea! I’ve been wanting to do something similar, but hadn’t yet figured out how. Love it! Thanks so much for sharing! What a great idea, thanks! I was just about to create something sililar and wasn’t happy with the plain color vinyl! So cool, I never thought of adding paper to contact paper, I it all the time in my cricut. Smart Girl! This is so incredibly clever! You always have such terrific ideas! Great alternative to the Cricut vinyl that is very pricey and you don’t have many choices of colours. Thanks for sharing. * Come on over to my blog, having a fun giveaway going on now. OH, i would love to feature this! So cool! Great idea! Thank you for visiting my link party! Great idea for an art wall!! That’s super stinkin’ cute Brandy!! If we had to pay for all your ideas then you would be a rich woman! I’m hosting a blog party right now and would love it if you linked up! I love the art room, and that genius, simple idea! Stopping by from Tatertots and Jello Party. LOVE the idea!! I don’t have a cricut (hopefully for christmas) but I am going to try it with stencils!!!! Where do you buy the clear contact paper? I haven’t been able to find it anywhere. great idea I can’t wait to try it!!! Thanks for sharing! You are super brillant, thanks for sharing your amazing idea! This is brilliant — thanks for the great idea! WOW!!! What an awesome idea, I love it and am so going to try it, thanks so much! Cute! Great idea. I love the colors you used. 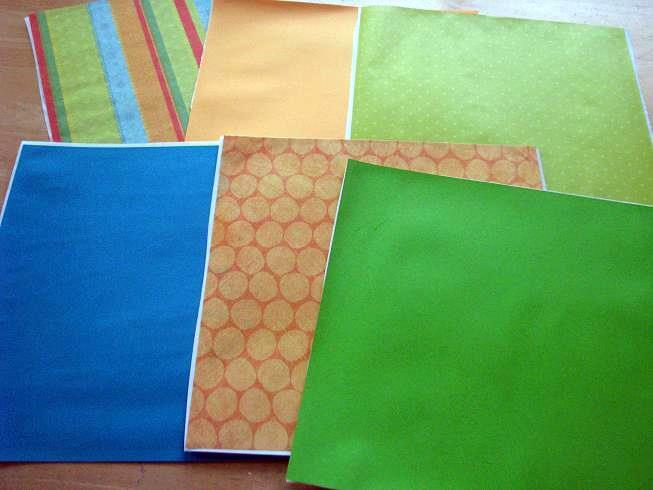 Lots of possibilities with scrapbook paper too! Well done! That just leaves endless possibiliyies, does it? Thanks for sharing … I’ve posted a link. Thanks for the project instructions!!! I love it! I’m going to have to get some contact paper…asap! Found you through Tip Junkie. darling! I did a similar project a bit differently that I will be sharing next week! Fantastic! Can’t wait to try it! I love this! I’m going to try it this week-end! I love this! I am featuring you tonight. I just discovered your blog and I LOVE it! This is brilliant! A great tutorial! I’ve linked this to my blog to share with my readers. Thanks for sharing! Love your blog! Very very cool! I might try this…was just thinking this morning of a verse I’d like to put on the nursery wall. I’m your latest follower from Tip Junkie! This is a fantastic idea. I was so excited, that I got some mod podge and tried it. I ran into a snag though, and was hoping you could help me figure out what I did wrong, or what I could change to get it to work. I followed the steps you outlined, but the paper and mod podge peeled away from the contact paper. The surface of the contact paper was too slick for the mod podge to adhere to. I tried sanding the contact paper to give it more roughness to stick to, and it worked a bit better. It stuck in some places, but in others the mod podge just didn’t stick to the contact paper. HELP! I just don’t know what I should do differently to make your fabulous idea work for us. Thank you for your great ideas! We really enjoy your blog! Just used your technique to make ‘wallies’ wall art rather than the vinyl lettering. I had no problems. I used a magazine clipping that had a star wars design on it to create some wall art for my son’s room. Great idea. Thanks for sharing. Alright, now…someone needs to invent some way to add sound to these comments. Because then I’d only have to click a button, like say “Squeal of Delight”. These days vinyl decals have made their own worth well known due to their incredible styles and shade printing throughout the world.